The Rockies Express pipeline (REX) will soon reverse its direction of flow. Surely there is no more dramatic indication of the huge shifts in physical natural gas movements surging across North America. REX will be moving gas westward - out of the Marcellus/Utica plays into Midwest markets. Gas from the Rockies will go somewhere else. That’s certainly a good thing for Appalachian producers, who are facing (irony of ironies) exactly the same kind of pipeline capacity constraints that Rockies producers were dealing with eight years ago. What can Marcellus/Utica producers learn from the Rockies experience? What will the REX reversal do for Marcellus/Utica take-away capacity? Will Rockies gas get back to where it once belonged? We will explore these questions in this blog series addressing the REX reversal and implications for Marcellus/Utica producers. In several past blogs we have examined the coming natural gas flow reversals resulting from astronomical production growth in the Marcellus/Utica region. 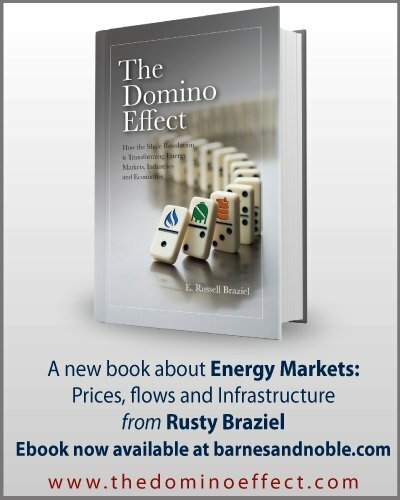 In the summer of 2012 we did a series titled The Marcellus Changes Everything, where we looked at Gas Flows (Part 1), Demand (Part 2) , Supply (Part 3), and The Great Flow Reversal (Part 4). Earlier this year we looked at what those flow reversals mean for Canadian gas imports in Return to Sender and the Constitution Amendment. All of these would be good pre-reading if you have not been following developments in Marcellus/Utica natural gas production and flow issues. 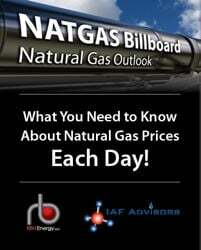 In this first part of a three part series we will look at forces that shaped the original development of REX as an outlet for Rockies gas, and what happened to natural gas markets as the pipeline moved gas eastward between 2007 and 2009. 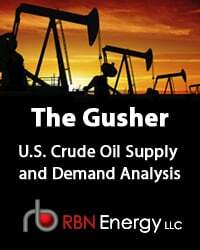 In Part 2 we will examine the issues now facing REX and other regional pipelines as Marcellus/Utica production pushes back on inflows that have traditionally supplied the Northeast. Finally in Part 3 we will examine the implications of REX becoming “a giant header system for the Midcontinent”  and how that might affect gas markets and gas suppliers as far away as Alberta. Back in the late 1990s, the U.S. natural gas industry had a couple of problems. 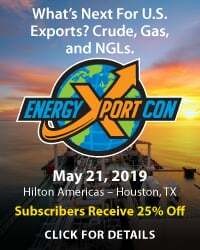 Production from the largest source of gas supply in the country – onshore and offshore production along the Gulf of Mexico – was in steep decline. Canadian imports were also falling. But the need for additional gas for power generation in the Northeast was increasing. Fortunately there was an answer on the horizon: the Rockies. That region was exhibiting the fastest production growth in the country and had problems of its own. Supply was coming on so fast that it had become clear that there was not going to be enough pipeline take-away out of the region to handle the supply growth. And of course, development of huge new plays in Ohio, Pennsylvania and West Virginia were not in anyone’s wildest imagination. The industry’s response to these issues was a bold, dramatic stroke – a new, 1.9 Bcf/d pipeline all the way from the Rocky Mountains to Eastern Ohio. 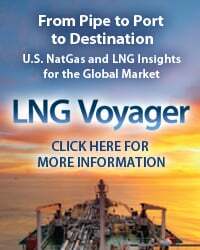 It would be the largest natural gas pipeline built in the U.S. in the previous twenty years and would ultimately span 1,663 miles, becoming one of the nation’s longest interstate pipelines. The pipe would function as an escape valve to move gas from a region experiencing gas gluts to a region needing new supplies. The concept for what would become REX started to be developed very early in the 2000s. 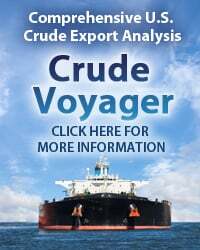 The first permit applications for the Colorado and Wyoming portions of the pipeline were filed in September 2004 by EnCana Corp.’s Entrega Gas Pipeline subsidiary. By the time that initial segment to the Cheyenne Hub in Weld County, Colorado—now known as REX Zone One--went into service in February 2007 (green section in Figure #1), Entrega had merged into Rockies Express Pipeline LLC, and plans were well under way for the two bigger segments of the REX system. The first segment, called Phase II got only half way to Ohio. 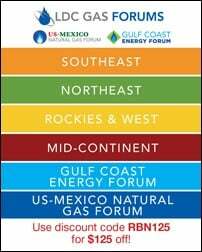 To access the remainder of Get Back to Where You Once Belonged – The REX Reversal and Implications for Marcellus/Utica you must be logged as a RBN Backstage Pass™ subscriber.